| 6-ounce, 100% cotton (preshrunk) Seamless double-needle neck Double-needle sleeves and hem Taped neck and shoulders Double-needle, left chest 5-point pocket Safety green, safety orange 50/50 cotton/poly. Ash 99/1 cotton/poly. 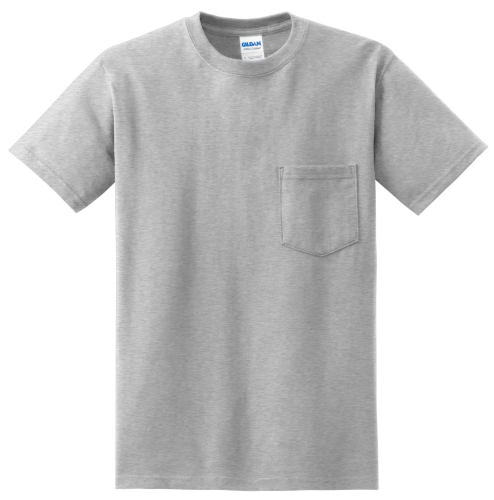 Sports Grey 90/10 cotton/poly.